Thursday, March 01, 2018 by: Isabelle Z. (Natural News) Vaccines are highly controversial, and much of the debate rightly surrounds their connection to autism and their inclusion of mercury and other heavy metals. However, there is another aspect of vaccines that doesn’t get as much attention even though it could have grave repercussions for life on this planet: Retrovirus contamination. A type of virus whose genes are encoded into RNA rather than DNA, retroviruses function differently than other types of viruses but can be just as devastating. Human retroviruses include HIV and human T-cell lymphotropic virus 1, which has been associated with some leukemias and lymphomas. All animals have some retroviruses integrated into their genomes, with as much as 15 percent of the human genome believed to be made up of ERV human retroviruses. They contribute to diseases such as cancer, autoimmune diseases, and neuroimmune diseases. The manufacturing process involved in human and veterinary vaccines uses live animal and human cells to serve as master seed stock. The process was developed before the mechanisms of retroviruses were fully understood, which means that no one was aware of the risks at the time. While many retroviruses are harmless and remain essentially dormant, they become harmful when they are exposed to cells from other species, which is what can happen during the vaccine manufacturing process itself as well as during the administration of vaccines that contain cell components from other species. Incidentally, this is similar to what has been creating problems when researchers try to transplant pig tissues and organs into humans. As new vaccines were developed in the 1970s, exposure to retroviruses intensified. These retroviruses have now been associated with many of the chronic illnesses modern humans are facing, from cancer and autism to Alzheimer’s and Chronic Fatigue Syndrome. It is believed that as many as 20 million Americans could be infected with retroviruses, but not all of them will go on to develop a serious illness. They can be thought of as sleeping giants, who are only awakened when there is an immune deficiency. A recent study published in the journal Biologicals outlined how endogenous retroviruses (ERVs) are infecting cats and how the feline retrovirus known as RD-114 has contaminated vaccines for other pets. There are at least two ERVs in cat genomes, and the RD-114 virus is found in a wide range of vaccines for dogs and other animals. 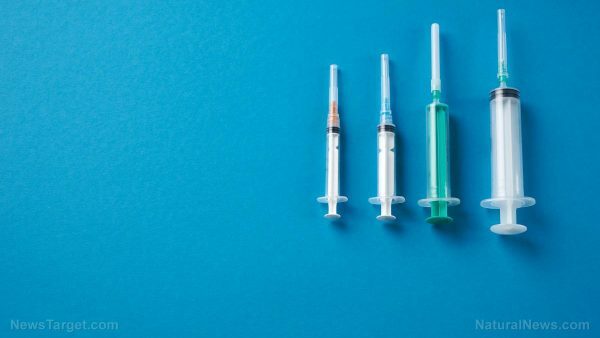 In fact, a different study showed that RD-114-related viruses contaminated around a third of the 25 commercial vaccines for dogs and cats tested. Research scientist Judy A. Mikovits even goes so far as to say that nearly all human vaccines are contaminated with at least one retrovirus, usually from an animal thanks to the animal byproducts used in vaccine creation. Six percent of Americans now have mouse-related retroviruses, for example, and that almost certainly comes from vaccines. Vaccines are risky enough when you take retroviruses out of the equation, but this vastly underreported problem could eventually prove to be the biggest danger of vaccines yet. Lyme/MSIDS can activate the immune system and be that “sleeping giant,” the author points out. https://madisonarealymesupportgroup.com/2017/12/02/scottish-doctor-gives-insight-on-lyme-msids/ Dr. Lambert has treated a number of young women who fell ill after their HPV vaccination, which seems to have stimulated a latent Lyme infection to reactivate. https://madisonarealymesupportgroup.com/2016/04/24/gardasil-and-bartonella/ Asymptomatic girls after receiving Gardasil activated dormant Bartonella which was confirmed by testing. More on retroviruses: https://madisonarealymesupportgroup.com/2017/10/15/vaccines-and-retroviruses-a-whistleblower-reveals-what-the-government-is-hiding/ What did microbiologist Judy Mikovitz get for exposing retroviruses in vaccines? She got jailed without a search warrant and publicly demolished by those who can’t stand exposure to the truth.